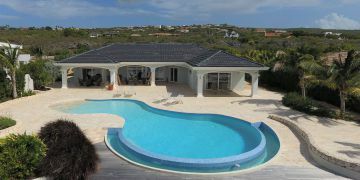 This is Caribbean island living at its absolute best for a full time residence or as a vacation home. With 3 bedrooms, 3 full bathrooms, this ‘beach villa’ is perfect for a large family to live in or for a group of friends to share. The living room and open floor plan kitchen with dining area turn family living into a daily party. The main covered terrace, living room and master bedroom are all seafront. 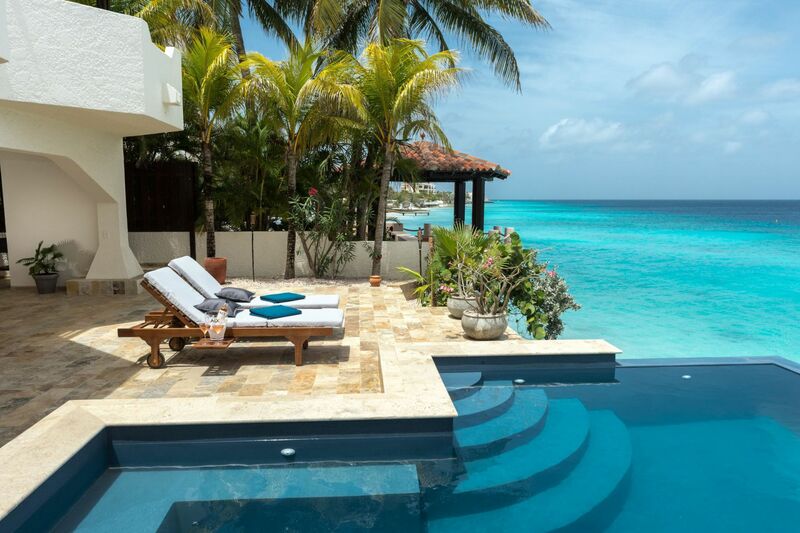 It is your choice to relax in the pool, the garden room, the crystal clear Caribbean sea or relax in the shade of the comfortable gazebo which is build seafront. A secluded inner court yard provides both privacy as lively green ambiance. 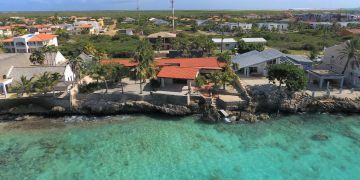 The spacious garage, with electronically operated door, allows ample space for the water sport gear needed to enjoy island living on Bonaire even further. Custom features such as the red cedar wooden shingles on the roof and red cedar window frames inside are in perfect harmony with the abundant amount of modern appliances in the Piet Boon® design kitchen that make life in this villa a gentle journey. 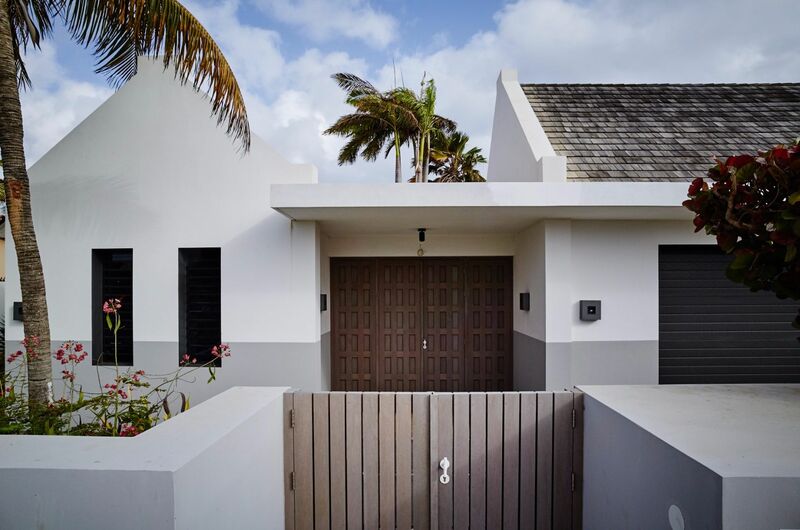 This property brings you only top of the line materials (such as bathroom appliances by Philippe Starck III and Vola stainless steel faucets) in a spacious yet contemporary beach villa. 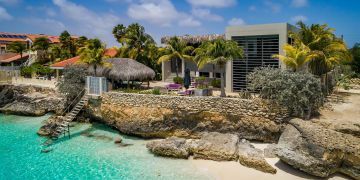 ‘Beach Villa’ (designed by Piet Boon) located at E.E.G. Boulevard 72 can only be fully appreciated during a showing which Sunbelt Realty will gladly organize for those in search of simple sophistication combination and glorious views over the Bonairean Sea. Garden: landscaped with tropical plants & trees (powered by drip system) surrounded by stone walls with wooden gates. Registered at the Land Registry Office Kadaster, number 4-H-683.